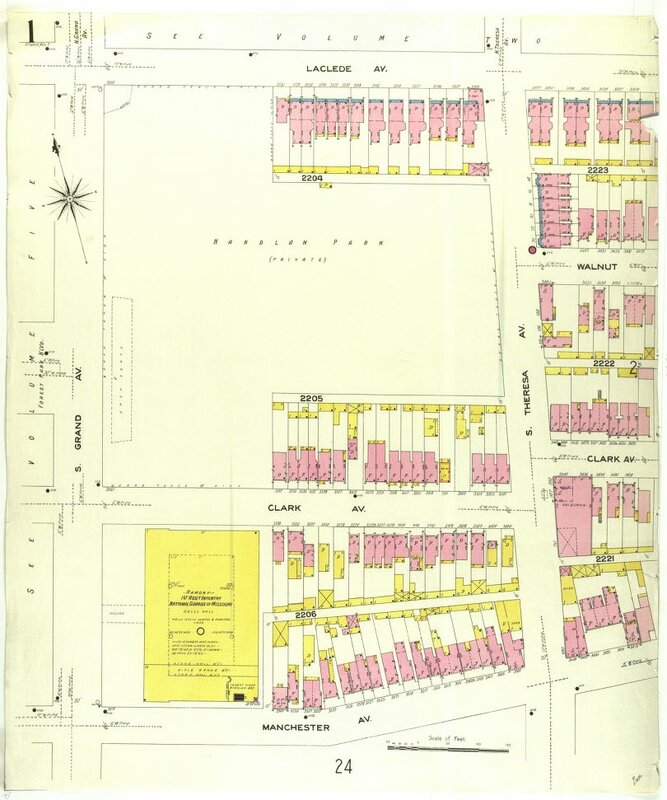 Above is a Sanborn Fire Insurance map of the intersection of Forest Park and Grand Boulevards, where the Council Plaza would later rise in the 1960’s. As can be seen in the map, Forest Park used to dead-end at Grand, at a now gone Handlan Park. Looking to the east on the map, one can see the western end of the sprawling Mill Creek Valley, torn down in the 1950’s. Looking at this aerial photo east towards downtown, the extent of the clearance of Midtown unfolds for the viewer. 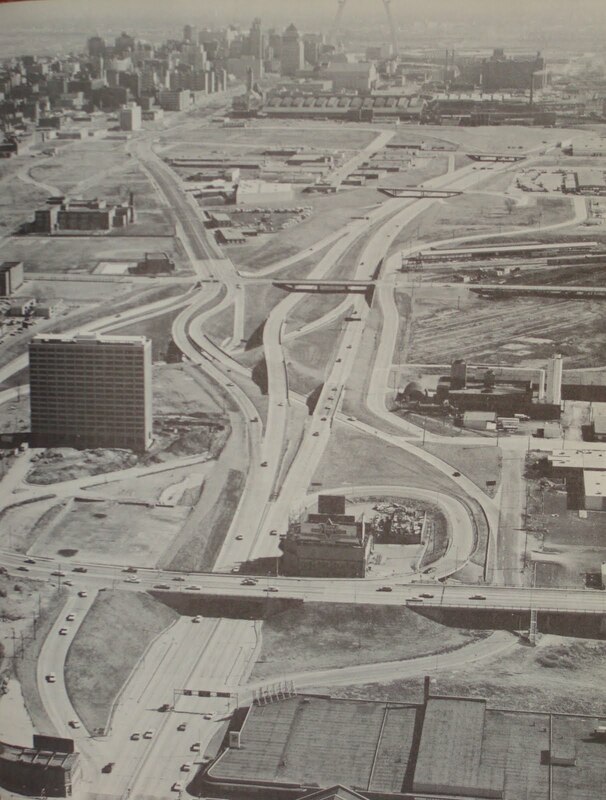 It is stunning at how much was demolished, and in its place the familiar snaking path of Highway 40 (actually built on top of Market Street or Manchester Avenue) as well as the other on-ramps and other streets built in the aftermath of the wholesale clearance. 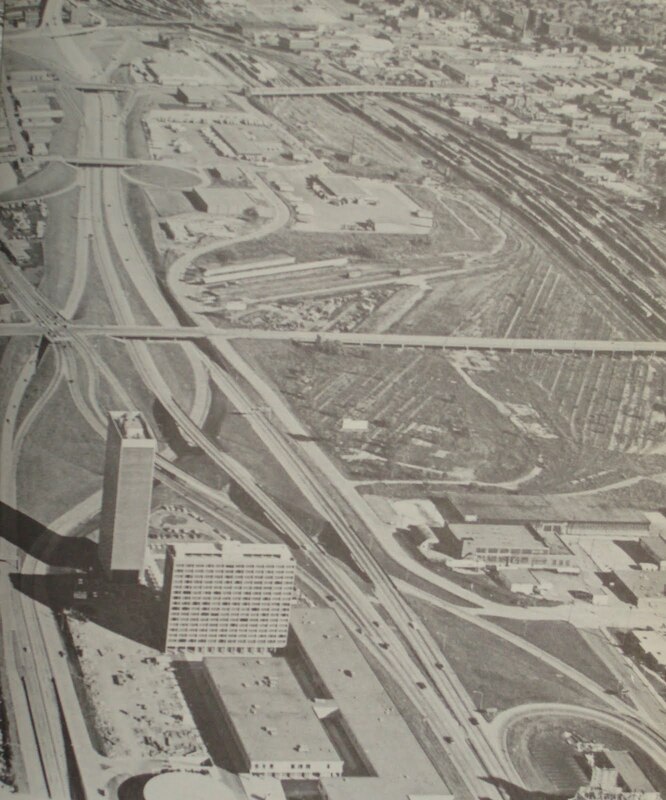 What is fascinating is the viewer can track the building of Council Plaza; first Grandview Apartments went up, and the remaining three buildings, including Council Tower. 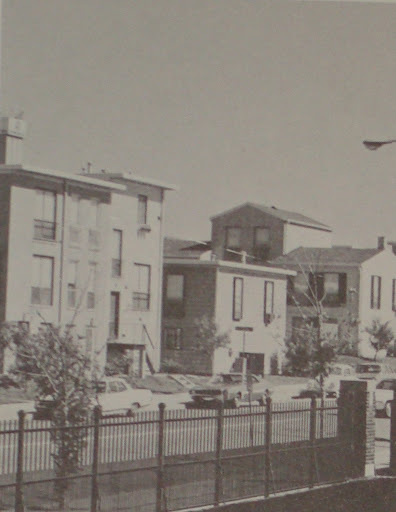 Below, one of the first developments built was Laclede Town, once a model for urban renewal but not mostly torn down and replaced by green fields for SLU and Harris Stowe around Compton Avenue. I’ve been told that Mill Creek still flows through a sewer in the area. Ironically, sixty years since clearance, some land still sits vacant. 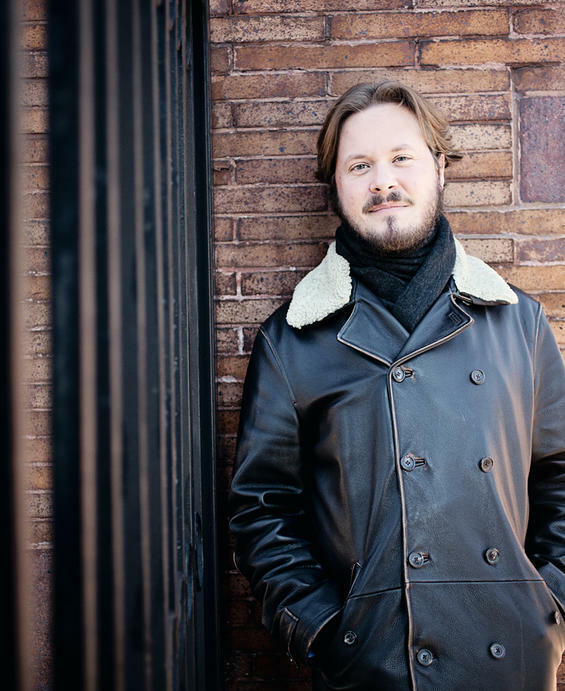 All photos from “This is Our St. Louis” by Harry M. Hagen.